Julius Krall, 84, passed away with his family by his side on Saturday, February 9th, 2019 at Robert Wood Johnson University Hospital in New Brunswick. Mr. Krall was born in Herend, Hungary on August 10th, 1934 to the late Michael and Elizabeth (Arki) Krall. Julius immigrated to the United States as a displaced person of war in early 1951 and settled in Elizabeth, NJ. He relocated to East Brunswick and to Whiting before settling in Somerset with his daughter. 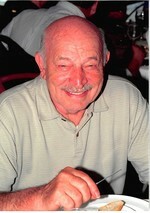 Julius was the proud owner and operator of The Raritan Bakery in Edison, NJ and The Dayton Pastry Shoppe in Dayton, NJ. He loved the outdoors, especially fishing and skiing. Julius was a devoted father, not just to his children but to anyone he met; he was a natural leader to everyone. His devotion to his business and to his family was unmatched; he leaves a legacy of love, hard work and a passion for baking. Mr. Krall is survived by his loving wife of 59 years, Patricia (Brady) Krall, his four children, Kenneth and his wife JoAnne Krall, Victoria and her husband Eddie Snavely, Wendy and her husband John Siegfried Jr. and Valerie and her husband Christopher Paitakis; his siblings, Mary, George and Eva; his ten grandchildren, one great granddaughter and a host of nieces, nephews and friends. Family and friends may visit on Thursday, February, 14th from 2:00 to 4:00 P.M. and from 7:00 to 9:00 P.M. at the Gleason Funeral Home, 1360 Hamilton Street, Somerset, NJ 08873. Funeral services will begin at 11:00 A.M. on Friday, February 15th at the Gleason Funeral Home. Services will conclude at the funeral home. In lieu of flowers, please consider donations to the American Alzheimer's Association www.alz.org/Donation or to 225 N. Michigan Ave. Floor 17 Chicago, IL 60601.